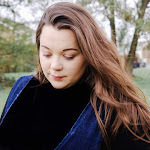 Well it's been a while since we've been here folks, but if you do follow my blog, you'll know that I have been very poorly! But you'll be happy to know that I am feeling much better and just in time for preparation for Blogmas! Are you taking part? Well the week didn't have the best start. My daughter, like most two year old toddlers is inquisitive, but being inquisitive nosy led to her somehow burning her finger on the lamp on my mums sideboard. It was awful. I felt like the worst mother in the world and as everyone was trying to help I couldn't help but feel angry, not at my mum, the lamp, or my daughter, but myself. I couldn't believe she would even think about actually touching the lamp. But my mum, as they do, made me see sense. After twenty minutes and my mum putting plasters on all her fingers, even though she only needed one, she was singing and dancing again. The next day she was absolutely fine other than wanting me to kiss her finger every two minutes but we managed to get outside as the sun was out. We played with leaves, jumped in puddles and met Bonnie the dog who loved her tummy tickled. We also started our Christmas shopping for the adults in our families and looking for inspiration for our daughter and a main present, she hasn't really mentioned anything. But every time we think of an idea a family member has got there first, the buggers! I am leaning more towards a small wooden kitchen for her but again there are just so many to choose from, she's going to move into a bigger room in the new year so space wouldn't be a problem. Any recommendations for a wooden kitchen play set would be appreciated. Did anyone get any good deals during the black Friday sales? As my husband was working I decided to do a little online shopping and to be honest thought it was a bit pants - there wasn't any 'oh wow I must get this' deal! Maybe next year? This weekend my husband's brother and nephew came down. It was so good to see them both and we had so much fun, it so lovely to see my daughter and nephew play together. The age gap between them is four months and you can already tell who is going to be the bossy one. I wonder who our daughter gets it from. We took the children for a walk around our area and the two little ones were seeking every opportunity imaginable to run away from us, in either direction, let's just say I hit my steps target for that day. Then we dropped by some relatives for some tea, cake and more fun. They both found a burst of energy from somewhere and went absolutely crazy and my daughter? Had to have two time outs in a day, I very rarely have to give her one. 1 comment on "WEEKLY ROUND UP #4"
So glad you're feeling better and had a nice week. We're also thinking of a toy wooden kitchen so will see what recommendations you get!